The heralded return of Ken Griffey Jr. to the Mariners this season is now a children’s book. Through a collaborative effort between Jarrett Mentink,Ph.D and illustrator Patrick Carlson, “The Kid Returns” has hit various bookstores in the Northwest. The 32-page, hard-bound book takes the reader on a memorable journey through the years — from when he was a 19-year-old known as “The Kid” to the 39-year-old father of three and leader in the Mariners clubhouse while winding down his Hall of Fame career. The author, who operates “Kids In the Clouds”, a children’s book company he formed in 2002, will be at the Safeco Field Team Stores on from 5-7 p.m. on Saturday for a book-signing. 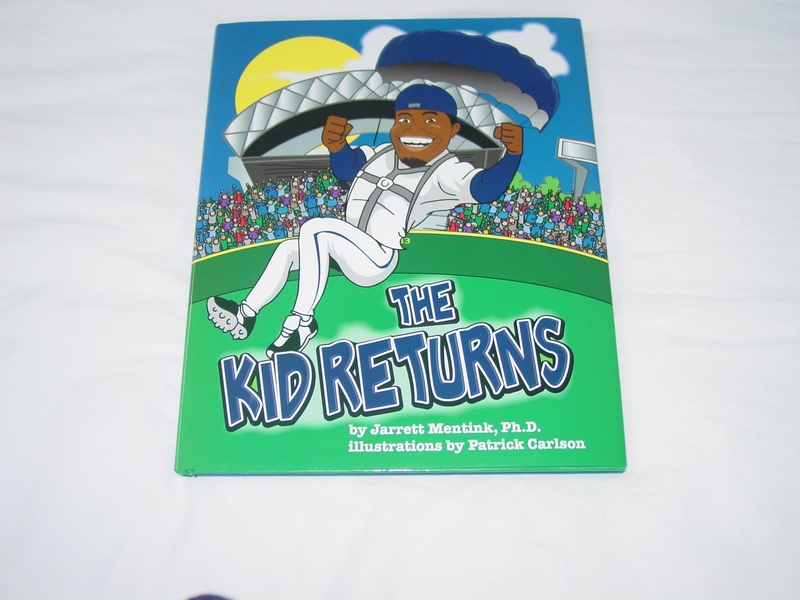 “The Kid Returns” retails for $12.95 and proceeds go to the Ken Griffey Jr. Family Foundation which supports children’s causes throughout the United States, including the Boys & Girls Clubs of America, Make-A-Wish Foundation, Seattle and Cincinnati Children’s Hospitals and Disney Children’s Hospital.